Tesla Motors Inc., the little electric car company with big aspirations, is entering a new chapter. Nearly three years after Internet entrepreneur and film producer Jeffrey Skoll became the first Tesla Model S customer, the company has sold roughly 55,000 of its innovative electric vehicles in its effort to become the world’s first mass producer of cars that abstain from internal combustion engines. If all goes as Tesla CEO Elon Musk plans, before the end of the year the Model S will be sharing showroom space with the highly anticipated Model X SUV. And by the end of the year, the company’s Fremont, California, factory will be buzzing with two assembly lines churning out 2,000 vehicles a week, twice the current pace. As Tesla winds down 2014 with its fourth quarter and annual earnings report , due out Wednesday after markets close, company watchers say they’re largely satisfied with Tesla, despite lackluster performance in China, a key global market where the company reportedly sold only 140 cars last month. ”This is a transition period for Tesla. They’re moving from the Model S to saying, ‘were still on track with the Model X and Model 3,’” said Carter Driscoll, senior equity analyst for clean technologies at New York boutique investment bank MLV & Co.
Analysts who watch Tesla will track the following key developments in 2015 to measure how well Tesla transitions into producing more than one model. 2015 Sales: Model S sales began in earnest in the fourth quarter of 2012, when it delivered a little over 2,400 Model S cars. The company has more than tripled quarterly sales deliveries since then. In 2013, almost 22,500 Model S sedans were delivered to customers. And despite shutting down the factory temporarily last summer to install more robots and set up the plant for the production for the Model X, Tesla sold more than 31,000 vehicles last year. This year, look for growth to expand considerably if Tesla can begin delivering on its current back-orders of the Model X, which depends on when the SUV begin rolling off the assembly line. It’s been delayed twice already, and company engineers are still working out some issues around its unique “falcon wing” doors. Musk has said the company is hobbled by a production constraint—that it can’t fulfill orders fast enough. Last year, the company trimmed the number of options in order to speed up production. Investors will want to see Tesla close the gap in how long it takes to deliver a car that’s been ordered. Currently, the waiting time for delivering a Model S to a U.S. customer is about two months and generally longer for customers abroad. 2015 gross margin: Tesla is considered to have a lot of profit growth potential, so investors aren’t paying much attention to net profit, as they would with well-established carmakers. One of the most important metrics for an up-and-coming company is gross margin, revenue minus the cost of making the cars. Tesla’s gross margins have been growing, which reflects its ability to make its cars more efficiently and suggests it’s establishing good relations with its suppliers, who are dropping costs as Tesla orders more from them. Analysts track the company’s gross margin excluding the money it receives from California Zero Emission Vehicle (ZEV) credits, which help the company’s financials but aren’t considered an accurate representation because it’s a government incentive that helps the company improve its numbers. But even without ZEV credits, Tesla is moving toward an impressive 25 percent gross margin, which increases as the company both grows sales an pays less to make its cars. 2015 Spending: Tesla’s capital expenditures – what the company spends to acquire or upgrade physical assets – was approaching a billion dollars last year as it buys ups space for its quick-charging stations, invests in its factory capacity and builds out its global marketing and dealership infrastructure. Investors will look to see if expenses continue to grow in 2015, and if those investment are paying off. This is particularly important in overseas markets the company is developing, namely in Europe and Asia. 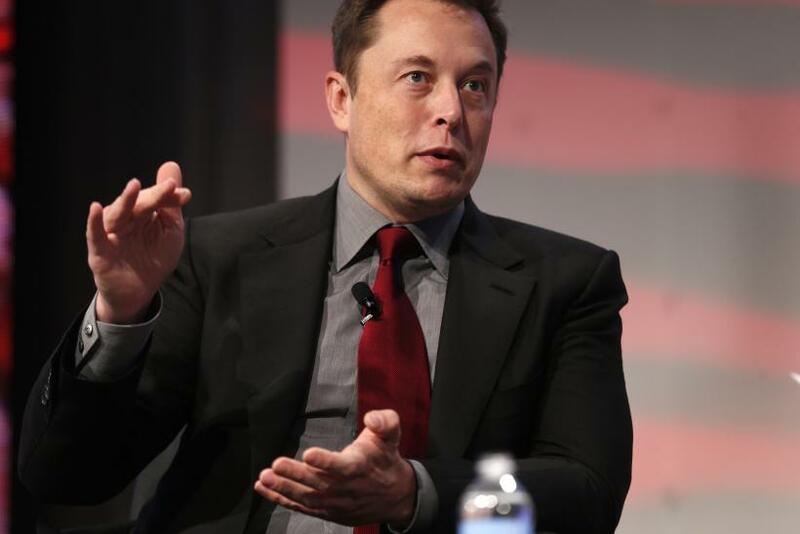 2015 ‘Gigafactory’ partners: Four months after Musk and Nevada Gov. Brian Sandoval announced the ‘gigafactory’ battery plant, the steel frame of the plant is beginning to rise from the Nevada desert east of Reno. The plant, which will be run by Telsa’s partner and battery cell supplier Panasonic Corp., is expected to be partially running by 2017 and at full capacity three years later. Work at the site in the Tahoe-Reno Industrial Center is well underway, but it isn’t completely funded. Tesla is investing in $2 billion in the project that could cost as much as $5 billion. Panasonic, which will run the plant when it’s completed, is investing hundreds of millions. But the project will need more partners, which will likely be key suppliers for the manufacture of the battery cells. This year more partners should be announced.